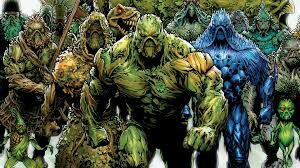 For those that were chanting “drain the swamp!” be aware that the GOP Swampthings are not cooperating. The GOP just gutted the ethics enforcement mechanism in the House of Representatives. The reason behind the gutting is twofold : First to make it easier to punish Democrats for any protesting on the floor of the House of Representatives and second to increase the GOP’s ability to accept the incoming , let’s say, “generosity” that the new ethics free Trump Administration is bringing to power.